Everyone enjoying the warmer temps? Well if you live in the South, Spring totally skipped us and we went straight to summer this week – but I’m still loving all of the sunshine! 1.) Tolar finally made it home after being gone for a whole week. He had a super early flight and arrived home on Sunday before I made it back from church. This was the scene I saw in my living room once I got home. 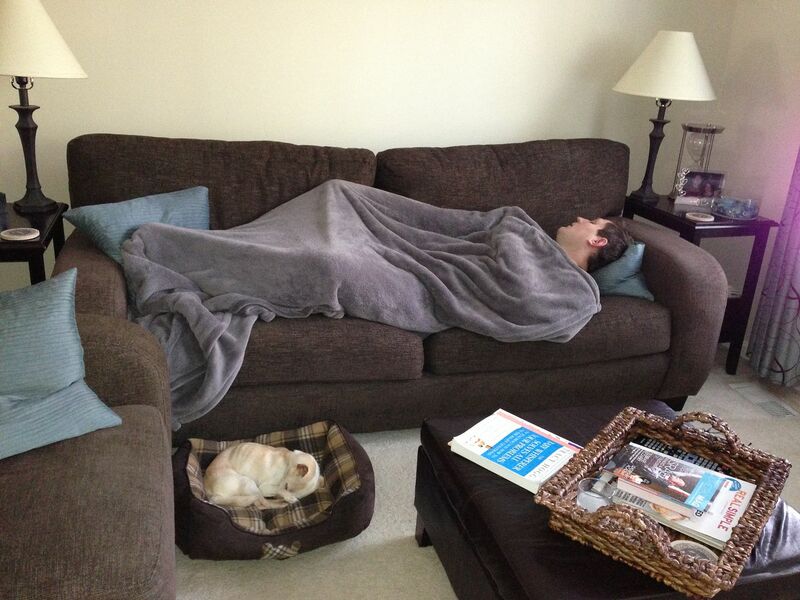 Tolar and JoJo are such cuties, especially when they are napping buddies. 2.) I washed a ton of baby girl clothes in preparation for our bundle of joy. Um yes, that is definitely my washer with all of that pink! 3.) 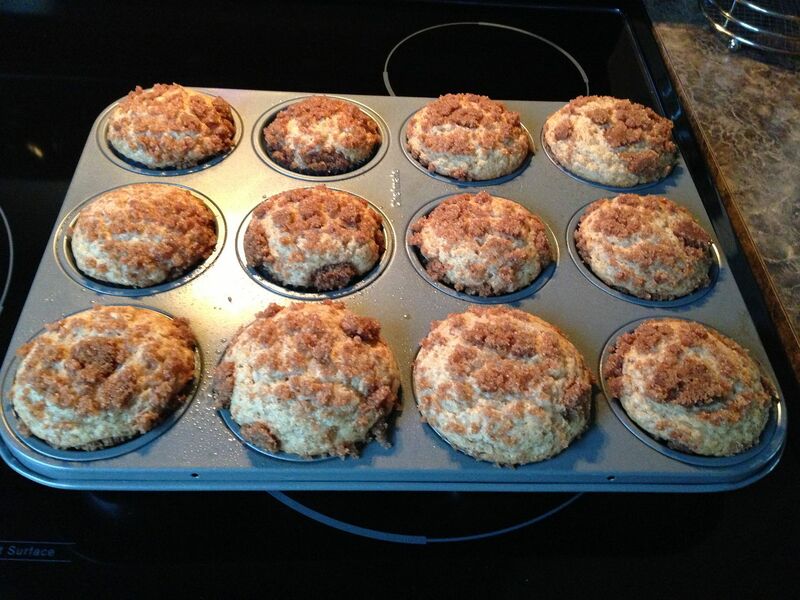 Cinnamon rolls have NOTHING on Cinnamon streusel muffins. I’m just saying, these were incredible! 4.) Tolar talks to my belly every night, trying to get baby girl to kick. And on Wednesday night, we actually felt a TON of kicks and even saw my belly move a little. It’s such an awesome thing to experience together. Hope you all had a great week. Head over to From My Grey Desk to check out some other fab blogs who link up for High Five For Friday. I’d like to introduce you all to Jessica who blogs over at Team Wiking. If you are looking for a site where you can get lost in tons of amazing photos and dream of living the beautiful life captured in said photos then look no further – this blog is for you! I was completely blown away by the beauty of each and every photo that is posted on Team Wiking (Side note, check out the About tab for the meaning behind Team Wiking, it’s a cute story!). Take this post titled The Hunt, I’m dying over every single picture of Jessica’s two boys hunting for Easter eggs. 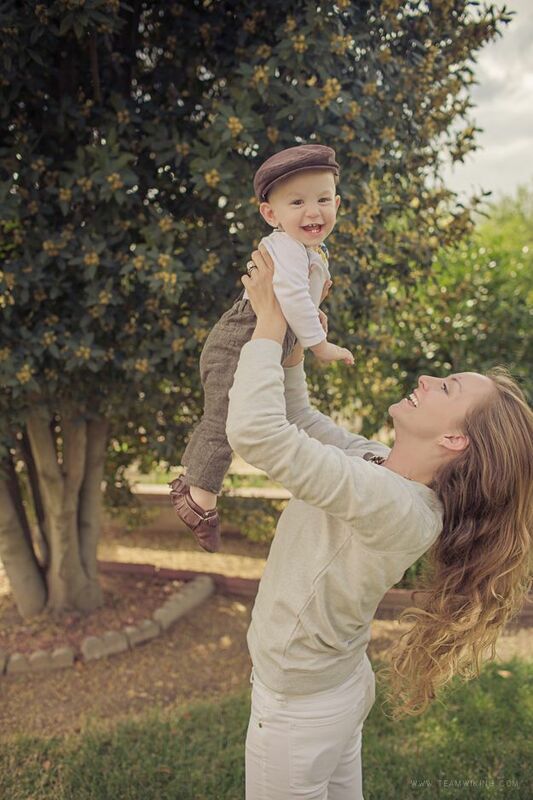 They are all brilliant and capture such sweet moments. And I dare you not to get jealous over Jessica’s flowing locks at the bottom of the post – beautiful hair there lady! I love that pictures can display such love and emotion and Jessica and Steve’s wedding photos offer all of that and more. Have you seen a more beautiful bride? Oh my goodness, I’m drooling over every single detail in their wedding photos. Team Wiking offers so much more than just awesome pictures, there are some great tutorials on there as well. Like these adorable Bunny Tail Leggings? I cannot get enough of them. I must make these for baby girl next Easter!!! So cute. Head over to Team Wiking anytime you need some cheering up (or really just head over there every day). Besides the beauty of every single photo posted, you will completely get lost in all of the wonderful smiles and beautiful San Francisco scenery. I feel like I am on a relaxing vacation each time I visit the blog. Happy viewing everyone! Baby kicks are soooo exciting! And as frieky as seeing your belly move it really is such a sweet thing. Hope you have a FAB weekend, glad your hubby's home with ya this time! That first photo is so cute...haha... And those muffins look delicious! I'm jealous of your hot weather! 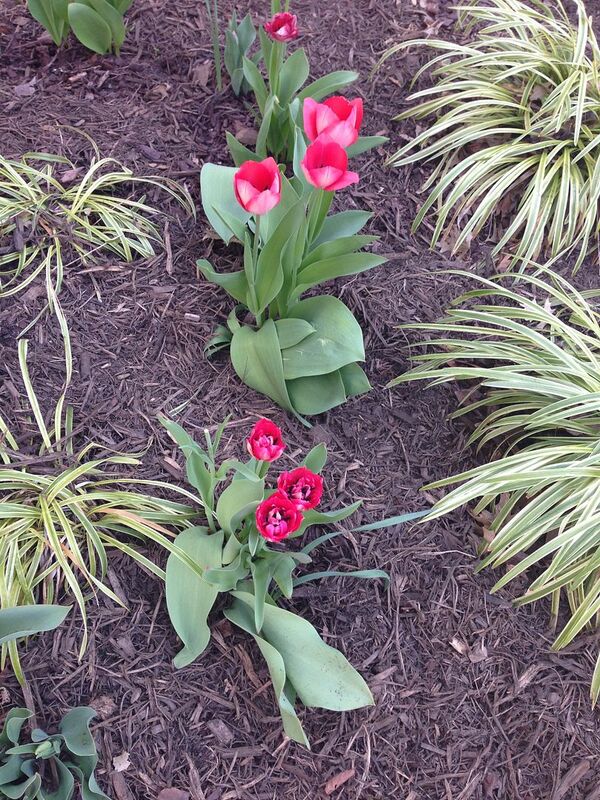 Spring still hasn't sprung in New England. I found your blog from Ruthie's & I'm expecting my first baby in September. I love finding other prego mama's! 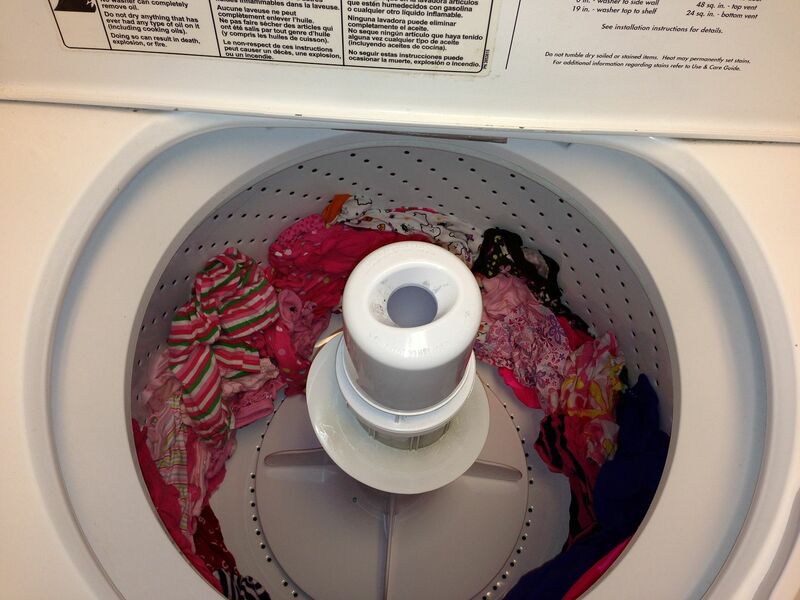 Yay for the weekend, and I love seeing all that pink in the washer!!! I dress my daughter in head-to-toe pink too! I always tell my husband that someday she will have a choice, but it's all me now:) I think you need to share that cinnamon streusel muffin recipe! Y'all, it must be a blogger thing. I just made cinnamon streusel muffins too! They are amazing. When I eventually have a daughter, my washing machine will look just like yours.